My mind is always thinking about new creations. 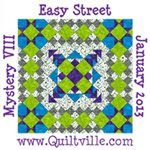 Yesterday I stopped at S 'N'Q to check out the pattern for the February project at Stitchin Sisters. It is called Sassy 16 and is made with i6 fat quarters..go figure. Anyway, it reminds me of Yellow Brick Road pattern. Of course, that is exactly what Pat said! Such a smart woman. So I reserved a pattern.....BUT I think I will just save the pattern for later since I need support to work on the applique part of Peace in the Valley. (If only somebody would do that part for me!). 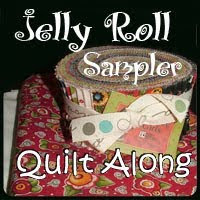 Fast forward to me trolling in my sewing room- I have decided that I will actually finish a quilt I started back ???? It is the first quilt from the Pinhead club that Pat led in another store....Actually the top has been finished since that first year. I just have to piece the backing. 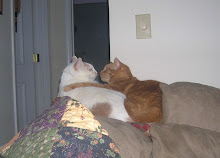 I will take it on Saturday to the shop to be quilted and then I can use that wonderful pattern with hearts on it again. I guess I have used the material that came in the kit for the binding, I will have to get something new. I really need to finish some of the tops I have piled up before I begin another. 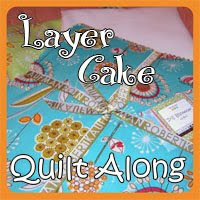 But then again I have started collecting for the quilt I have in mind. No more new ideas!!! Becky's blog had a new book series...I've already been online and reserved a copy! Not enough hours in the day and work really gets in the way! What was the first Pinhead pattern? I only joined the last quarter. Thought that you might enjoy the Knitting mysteries by Monica Ferris. That's why I listed the first one. If you google her name, her website has a bibliography of the books in this series. I'm with you. It's time to FIU (Finish It Up) to quote Pat Sloan on her blog. I'm hoping to finish some of these wonderful Sisters/Pinhead projects.